When a cake company gets in touch and asks you if you'd like to try out some its wares, you don't hesitate to say yes. 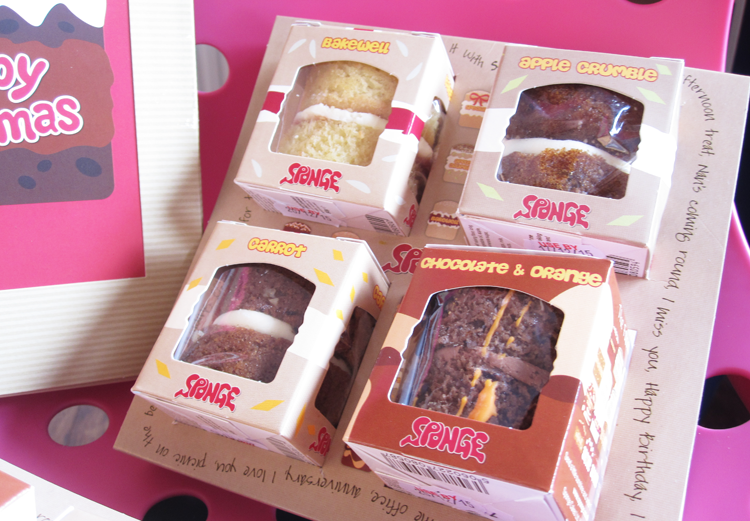 And so, this is how I was introduced to the online wonders of Sponge who deliver delicious cakes straight to your door. 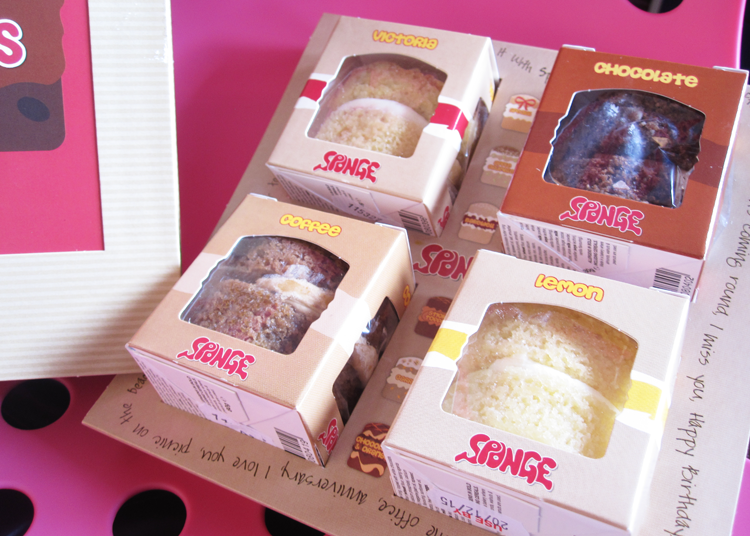 Sponge sell cake; a lot of cake in a lot of different varieties. You can purchase Birthday (or any special occasion for that fact) Cakes, Personalised Cakes, cakes for corporate events, Gluten Free cakes, - hell you can even take out a subscription and have some cake delivered to you on a monthly basis! These guys know cake and make them using British sourced Free range Eggs, Flour, Sugar and Butter. 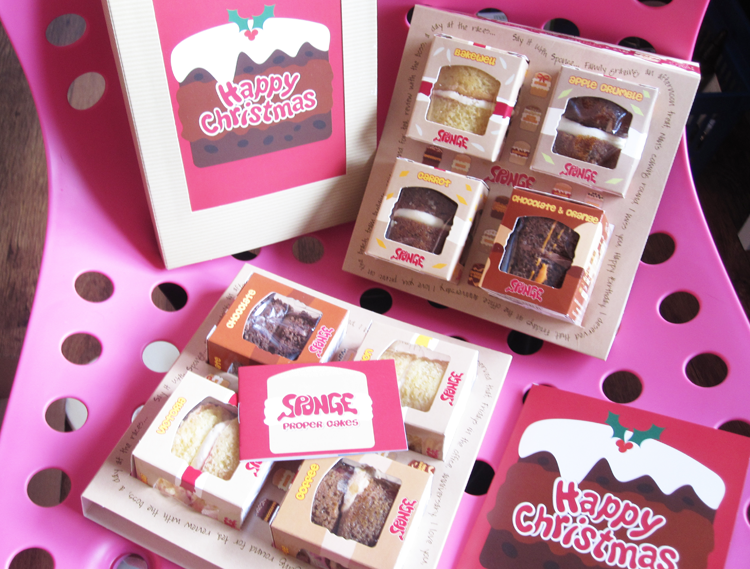 So without further ado, let me show you some of their delectable cake which you can gift someone this Christmas. Erm did someone say 'Cake Card'? Why yes they did! If you fancy treating someone to something sweet, send them a Cake Card. This genius novelty concept allows you to personalise your card and you can choose 1 or 2 slices of yummy cake from a range of flavours for the inside. 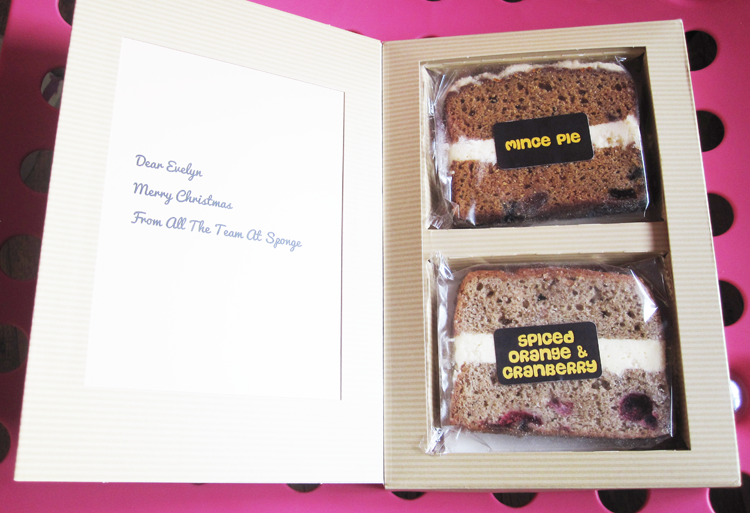 Sponge very kindly sent me slices of their seasonal favourites, Mince Pie and Spiced Orange & Cranberry, and both were absolutely delicious. 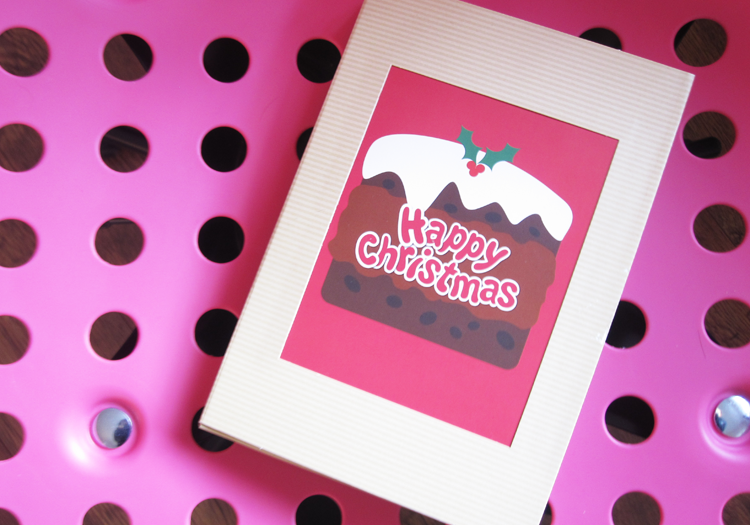 The Cake Card fits through all standard sized letterboxes and is dispatched via 1st Class Royal Mail, so when your recipient gets home from work, they'll have some lovely cake to go with their cuppa that evening. Traditional Christmas cards will never be the same again! Whilst you can happily indulge in the full-size cakes that Sponge do, their Baby Sponge Gift Boxes are a great way to treat a family or to bring in for the office as a Christmas treat. 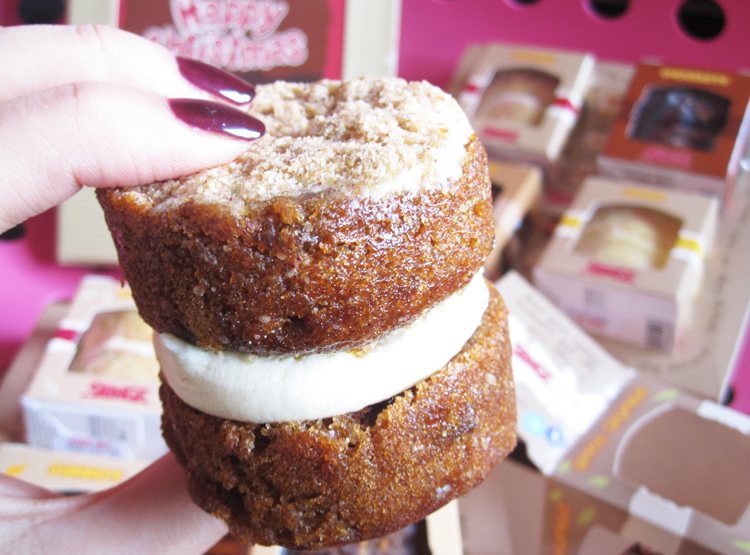 Available in sets of 4, 8, 16 or 32 (if you're going all out! ), you can choose which flavours you'd like or opt for one of the sets which are based around a theme. 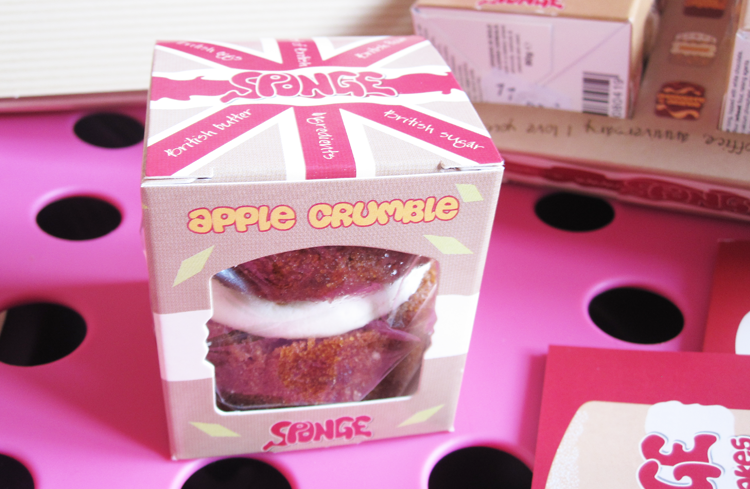 Sponge kindly sent me two Gift Boxes; one of 4 Traditional Baby Sponges and one of 4 Quirky Baby Sponges and let me tell you - these mini sponge cakes did not stick around for long! The cakes themselves were wonderfully soft and moist, with a sweet buttercream filling. I enjoyed all of the flavours (I obviously didn't eat them all on the same day and had a few cheeky helpers...!) but the stand out ones for me were Apple Crumble, Lemon, and Carrot. So yummy! Baby Sponge in Apple Crumble - oh so moreish! Will you be sending any food gifts in the post this year?